Tom practices in the area of commercial real estate with a focus on commercial leasing. 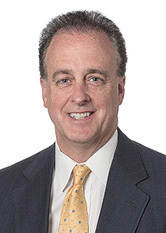 He has extensive experience representing owners, managers and tenants in all aspects of their office, retail, medical, warehouse, industrial, research and development and other specialized leasing transactions, including the resolution of lease disputes and creating solutions to problems arising from the day-to-day operation of their real estate. He has served as outside real estate counsel to several well-known global and national organizations, working as part of their corporate real estate team negotiating and documenting their nationwide leasing and subleasing transactions, executing their real estate portfolio strategies, supervising acquisitions and dispositions of owned real estate, negotiating real estate services agreements and work letter agreements, and coordinating the design and construction of tenant improvements. Additionally, Mr. Rohan has significant experience working with sellers and buyers of commercial, retail and industrial properties in New Jersey and New York. Mr. Rohan is a member of the New Jersey and New York State Bar Association.